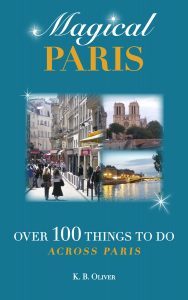 When we think of visiting France, we might think of visiting monuments, hopping the TGV (high-speed train), renting a car. Have you ever thought of French waterways? Much of French culture and history has occurred near rivers, so there is a rich supply of sites, towns, vineyards, nature, and attractions to see near the banks of French rivers and canals. 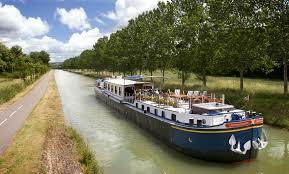 Touring France by water, be it river or canal, is increasingly popular. As I started to investigate the options, as you might guess, I wanted to hop on one tomorrow! One advantage of cruising is the pace. You drift from one place to another, get off and visit, and without running for trains or navigating with a GPS or map, you’re off again as you drift you watch the pastoral countryside go by, while you dine or sip an afternoon cocktail. Sounds nice, eh? 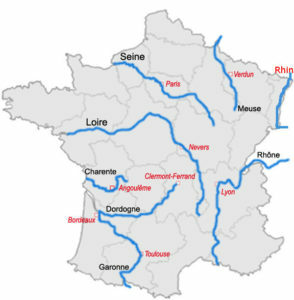 There are several major rivers in France, scores of smaller ones, and numerous smaller canals, which are also ideal for smaller vessel sailing. 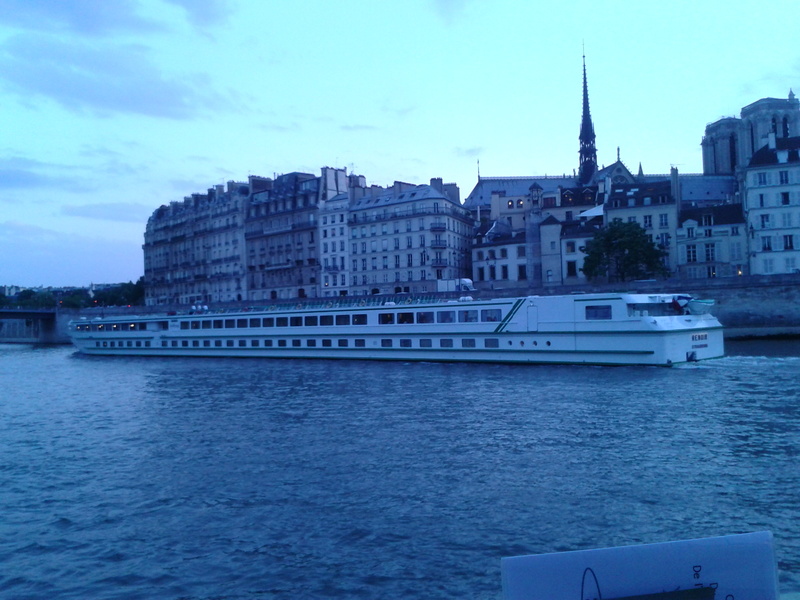 The main rivers used for larger cruise boats are the Seine, which runs from Normandy to Paris and beyond, the Garonne, near Bordeaux, and the Rhone, on the east side close to Provence. The Loire is the longest river in France, over 600 miles, but only parts of it are suitable for cruise boats. This post will cover three ways you can travel. By cruise ship, by smaller boat or barge, and self-drive, or boat rentals. First, cruising with a large, traditional company such as Viking has its pluses, if you want all of the comforts and none of the fuss. There may be over one hundred people on board, but the company will do everything for you and usually maintain a stellar reputation for good service. You’ll still want to check their itineraries, reviews, and inclusions. The costs will usually run between $2500 and $3500 per person for an 8-day cruise, but there may be promo pricing at times. Longer cruises are available, and often there are post-cruise add-ons to other cities, such as Paris, if it is not already included. In recent years barge cruises have become popular. Smaller rivers and canals allow for small boats to chug along in more rural areas. Passengers enjoy the homey feel of a smaller group, maybe 12 to 20, still with elegant meals provided on board. On-board entertainment won’t be provided or will be scaled-down, compared to a larger vessel. You’ll make stops at picturesque towns along the river. Some popular canals for cruising are Canal du Midi, which connects the Garonne river near Bordeaux and the Rhone. You’ll pass cities and towns like Carcassonne, la Camargue, and Toulouse, but you won’t be far from Montpellier or Avignon either. Barge cruises can also run over $4000. per person, depending on the length of time and the places visited. The smaller group size has many advantages, but increases the price. This is an option that I just learned about, and immediately put it on my list! This is much more reasonably-priced (similar to a week cabin rental at the beach) and you can take just your own family, or several families (your best friends, your relatives, etc.) Boats can usually hold 2 to 12 people. You will decide on the canal you want to visit and there will be a specific spot for the pick-up of your boat. You’ll get some basic training (you don’t need special permits or qualifications) and off you go. You’ll provide your own food and prepare meals on board in a fully-equipped kitchen, or else eat in town at one of your stops. This allows you to fully plan and direct your whole trip yourself, if that is what you want to. What kind of cruise interests you? What area of France? Alsace? Normandy? Provence? The Southwest? You have a choice to go to virtually any region you want. There will be a cruising option for you. Here are some companies for each of the above options. I haven’t vetted these, but they can provide a starting point for your research and planning. Feel free to let me know how you liked the company you chose when you get back! 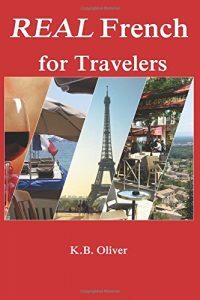 I hope this gives you new ideas for an upcoming or future France trip. If you have done the more traditional tours, try the France River Option! barge cruises, barge tours in France, boat travel, cruising French rivers, French boat travel, French river cruise, French river cruises, French waterways. Bookmark. Happy New Year! Thank you for this email, perhaps the best one of all, because very few people know about France’s rivers traveling. The only suggestion I have, as a general rule, is that you should spell out the acronyms the first time you mention them, even those which are already of public domain. Thanks for your comment, Guillermo! And Happy New Year to you as well! I’ll check the text and make sure everything is spelled out for the acronyms. Must be something I did without thinking. Take care!